Chris: The first edition of “Healing Lyme” came out in 2005. 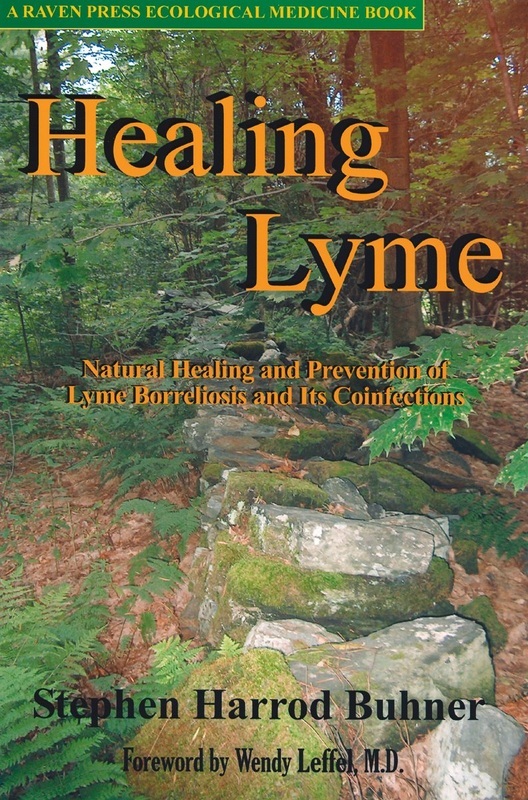 A phenomenal approach to, as the title implies, healing the body from Lyme disease. 10 years later, you’ve followed it up and written a second edition which will be available around December 7, 2015. Can you tell me if you ever thought the need to write a second edition would arise and what was the impetus for a revision? Stephen: I wrote the first edition in response to the tremendous number of requests I was getting about Lyme infections and at the urging of Wendy Leffel, a physician friend in Vermont. As I worked on that book I realized that I would have to break significantly new ground, both in herbalism and in the treatment of Lyme infections. In consequence that first edition was much less sophisticated than I knew it needed to be. The decade after that allowed us to considerably refine our approach as we began to work deeper with Lyme infections. Chris: If you can, give a gist of what the revised edition brings to the table that the first edition could not, and should we now view the first edition as still completely relevant, partially relevant, or obsolete? 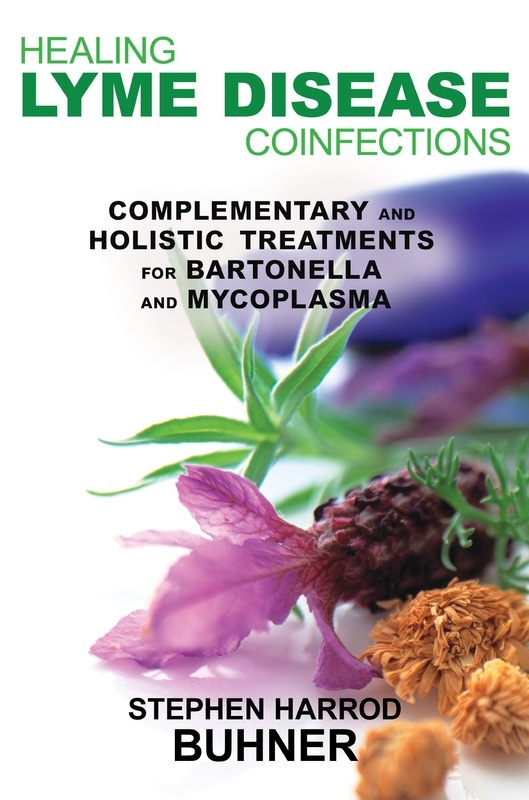 Stephen: The first edition still works fine, with the exception of the treatment of the three coinfections: bartonella, babesia, and ehrlichia. We have had contact with over 25,000 people the past ten years and for the vast majority of them the protocol, in some form, worked well for them. I don’t often use the word “cure” but some 75% of people who used the protocol experienced what they call a cure. Another 15% experienced a pretty complete cessation of symptoms but needed to remain on a very low dose of some of the herbs continually in order to keep it that way. Five percent got some help, the remaining 5% experienced no help at all. ​I think I answered this query for the most part in that first question however one main addition to the new edition is a much expanded and more sophisticated extended protocol (aka repertory) for treating many of the more subtle symptoms of Lyme infection, e.g. a feeling of pressure in the head. ​Another real contribution that I think the book has is the depth review of the thousands of journal papers published in the past ten years. These have found that the group of arthropod transmitted infections are much more common and wide spread than formerly thought, even in the cities (extensively so in parks), there are a great many more borrelial species than formerly thought and many more coinfections than formerly realized. Chris: The original core herbs recommended in the first edition of “Healing Lyme” for overcoming Lyme disease were Japanese Knotweed, Cats Claw, and Andrographis. Can we expect to see these three reprise their roles in treating Lyme disease in the second edition of “Healing Lyme”, and if any have been removed, and if one of them is Andrographis, can you honestly say it was because of its pleasant taste? Stephen: Yes, these are still there. The only deletion is smilax which we never did find was useful (despite the research indicating it would be). I have gone back and forth with andrographis over the years. For a while I thought it not all that useful but then as I explored it deeper came back to it as a primary herb. It has three drawbacks: 1) about one percent of people get a pretty bad allergic reaction, usually skin related, to the herb; 2) it tastes terrible; 3) it only works for about 60% of those who take it. It is however, extremely useful if used immediately on tick bite as a poultice with something like green clay; it really does help prevent infection. As well it is pretty good at increasing some parts of immune response AND reducing the cytokine cascade the infections can cause. Chris: You’re a master herbalist -- you know herbs. Can you give a little insight into how, with the hundreds of thousands of plant species we share the planet with, you knew exactly which herbs would work best for Lyme disease, or the process by which you construct a protocol? Stephen: Part of it is simply exposure over 30 years to so many herbs and so many different diseases, another part is an understanding of the way ecological systems work in response to disease complexes that are epidemic in scope (plant invasives often give a clue to useful plants for emerging infections). Still another aspect is the long term use (centuries) of certain plants for certain kinds of conditions. ​And finally, a depth look at journal studies that look at a part of the disease complex in question. Few scientists are capable of big picture thinking, thinking across discipline boundaries, or comprehensive explorations of plant medicines. So, by reading literally thousands of journal papers and building up a holistic gestalt of the disease complex in question then cross correlating that with my experience, invasive plants, and traditional use over long time lines it is generally possible to find sophisticated protocols for complex chronic disease complexes. Then all that is refined over time through use in the people struggling with the disease complexes themselves. If the theory is great but it does not work in practice then the theory has to be abandoned or modified considerably so that it actually has something to do with the real world. In the final analysis, the only thing that matters is does it work in the real world. That so many technological medical practitioners and researchers keep the theory and throw out real world responses is a common problem, as most of the Lyme-infected can testify to. Chris: Your understanding for the bacteria we share our bodies with is unconventional, but it should be conventional. You say we should “befriend them”. Why should we as humans befriend bacteria? Aren’t they all out to dismantle our lives? Is our bitterness and resentment towards bacteria, and other pathogens, justified? Stephen: As Lynn Margulis once put it, bacteria have better things to do than spend all their time making us sick and eating our food before we can. They are the essential underpinning of the planetary ecosystem. Declaring war on disease was and remains foolish. Underneath that decision is a tremendous fear of dying and a rather unrealistic utopian belief that death can be removed from the planetary system through a rationally applied science. What is true however is that death is inherent in the system. While some causes of death can be altered, death itself cannot be removed; resentment toward bacteria for being a proximate factor in death is unwarranted. We are meant to biodegrade, all life is sooner or later. ​Our fear of death and attempts to remove it from the system is an expression of a pathological condition that is currently prevalent in the western cultures. In older times, as recently as a century ago, death was much more integrated into daily life, people’s feeling about it, while not exactly loving, was much more blunted. They were used to its presence; death was not hidden in nursing homes or hospitals. A related problem is that as more people are kept alive through technological intervention the population has increased to the point where we have exceeded the carrying capacity of the planet. We are in the midst of experiencing competing goods: the desire to prevent disease and death to those we love and the fundamental reality of the carrying capacity of the planet which, when exceeded, will take back all those prevented deaths sooner or later. ​Few people want to examine the shadow side of reducing death rates, but there are many of them, this is only the most pressing. Hence, we need to make peace with death as an inevitability. The bacteria are not the problem, they are not our persecutors. We will all die from something. Reverencing them, as our ancestors, as the fundamental underpinning of the world, alters how we treat them and significantly alters many of the shadow sides of technological medicine. Living sustainably means dying, sooner or later. It is no one’s fault, we have no right to never suffer or die. It just is. 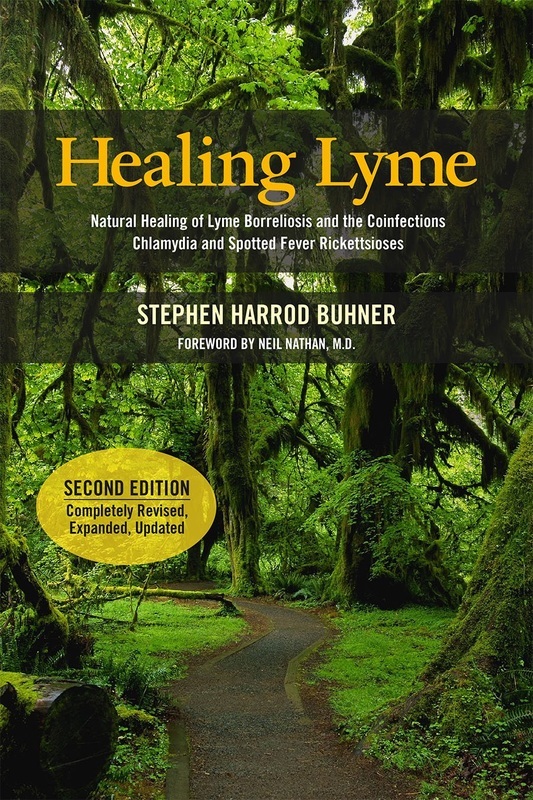 "Healing Lyme: Natural Healing of Lyme Borreliosis and the Coinfections Chlamydia and Spotted Fever Rickettsioses", due out in December, is Stephen Buhner's follow up book to his phenomenal and groundbreaking 2005 book "Healing Lyme". Chris: Kratom is an herb native to Southeast Asia and is becoming very popular and trendy in the United States as of late. The herb itself is used by many in the Lyme community as a pain reliever when the strongest of prescription painkillers fail to even touch the debilitating pain caused by chronic Lyme disease. Much like Cannabis, the herb is creating controversy among politicians. As a master herbalist, and a person of great logic and wit, can you provide your personal insight into Kratom? It’s been 10 years since this opinion - have any studies been done since that can provide convincing evidence for TOA free Cat’s Claw’s original claims or should the TOA/POA controversy be buried for good? Stephen: I cite the most recent studies in the new edition. I don’t think there are any really reliable studies that show TOA free is better in the treatment of Lyme or its coinfections. From what I can tell it appears to be more of a marketing dynamic than anything else. I just don’t see the few journal studies on TOA free products that exist to be very good or convincing. Chris: I’ve personally used both Cat’s Claw and TOA free Cat’s Claw at different times -- never together -- throughout my chronic Lyme treatment. I’ve found that 1 drop of TOA free Cat’s Claw is enough to induce an intolerable herxheimer reaction and is more aggressive. On the other hand, I’ve found that ¼ tsp of Cat’s Claw in its whole herb form also elicits a herxheimer reaction, but it was a much more tolerable and gentler response - even at higher dosages. It’s almost as if the Cat’s Claw is treading lightly, careful not to hurt you, and that TOA free Cat’s Claw drops an atomic bomb and isn’t in any way concerned about friendly fire. Can you explain this vast difference in response between whole herb Cat’s Claw and TOA free Cat’s Claw? Stephen: One of the real problems with TOA free cat’s claw is that it specifically removes constituents that are specific for helping heal nervous system damage. The TOA constituents act to ameliorate nerve damage, calm the system down, reduce any tendency for seizures or pain in the system, and restore function. Most of the people we see have neuroborreliosis and attendant problems, using TOA free cat’s claw in that population seems extremely foolish to me. ​As to Herxheimer’s reactions, this is a complex issue which I do go into in more depth in the new edition. It turns out that there are an incredible number of borrelial bacteria that infect people, especially if you include various strains and subspecies. Some of them produce very few Herxheimer reactions (e.g. Borrelia burgdorferi, sensu stricto), some produce moderate to severe Herxheimer reactions (Borrelia miyamotoi), some produce incredibly serious ones (relapsing fever Borrelia) sometimes leading to death. There is very little ability to distinguish the various types from one another in any technological testing that is currently being used (except for the relapsing fever varities) hence no one has really understood the variety of responses that occur in the real world when Lyme is being treated. I don’t think there is a blanket response that can cover this question due to the lack of knowledge about who responds how and what variant of the bacteria they are infected with. Nevertheless, I do know that the full spectrum cat’s claw does seem to ameliorate nervous system responses to infection and die-off problems. Chris: Your treatment protocol for Lyme Disease as outlined in “Healing Lyme” has helped restore many lives, including my own. What reasons or factors would you say contribute to a person not being able to completely heal themselves from Lyme with the “Buhner herbs” or “Buhner Protocol? Stephen: Very few people who use the protocol we have developed the past decade use only that protocol (though some do). Most add this or that, or subtract something. I don’t think there is one true way to health that for all people in all times will work. These protocols need to be altered for each individual person (as I have said over and over again for a decade). 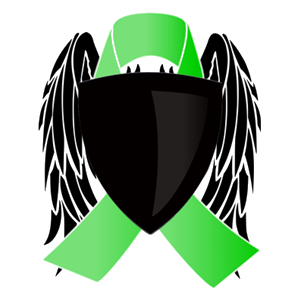 Chris: Your knowledge and work with Lyme and its coinfections is undoubtedly a beacon for the Lyme community. 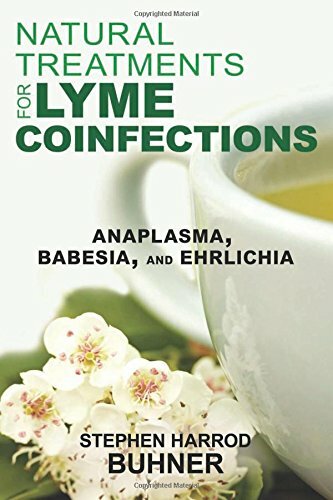 You’ve constructed treatment protocols for chronic Lyme disease and 7 of its co-infections with two Lyme books and two coinfection books, with the majority of the work being released in just the past few years. Do you have any other contributions or intentions for the Lyme community in terms of a book, public appearances, etc, or will you be taking some time off? Chris: Once again, thank you Stephen for taking the time to answer some questions, providing enlightenment, and all the amazing work you’ve done for the Lyme community. Your knowledge is a great piece of the unfound truth many are still searching for. Your new book will surely be welcomed, as many, including myself, are extremely eager to get a hold of it! For a simplistic guide to starting and implementing the Buhner protocol, go here or visit buhnerhealinglyme.com. Stephen Harrod Buhner has been called both an Earth poet and a bardic naturalist by those who have heard him speak. He is the author of 20 works of nonfiction and one book of poetry. For over 30 years, until semi-retirement in 2015, he taught throughout the US, Canada, and the Western European Isles. ​Stephen’s work has focused deeply on breaking new ground in the understandings of the states of mind necessary for sustainable human habitation of Earth, Gaian dynamics, plant function in ecosystems, and sophistications of herbal medicines in treating emerging and chronic infections. His work on Lyme disease and its coinfections has set new standards in the field as well as offering hope and healing to those who suffer these infections.